SHAPED FOR COMFORT AND MOBILITY. 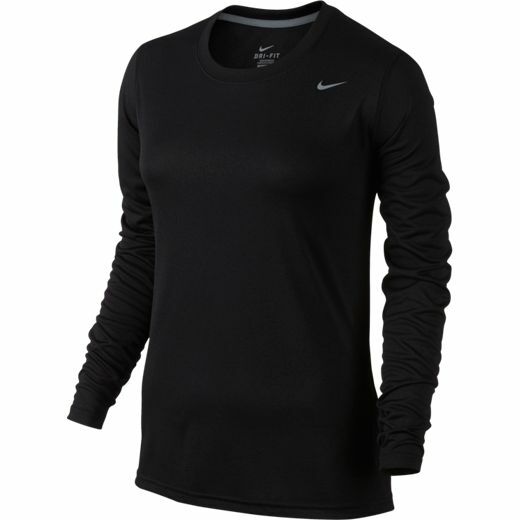 Nike Legend Women's Training Long-Sleeve Top pairs the soft, sweat-wicking comfort of Dri-FIT fabric with casual, form-flattering coverage that moves with your body as you workout. Interior neck tape moves smoothly against your skin. Swoosh design trademark is heat transferred on the upper left chest. 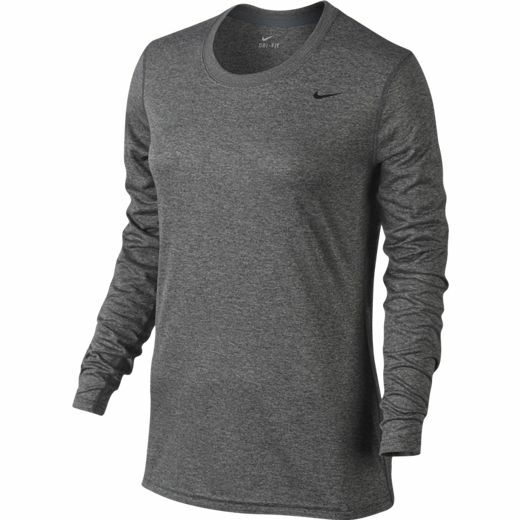 Long sleeves keep you covered. 100% POLYESTER - Non- stocked. Allow 4 extra days unless shipping to a school.